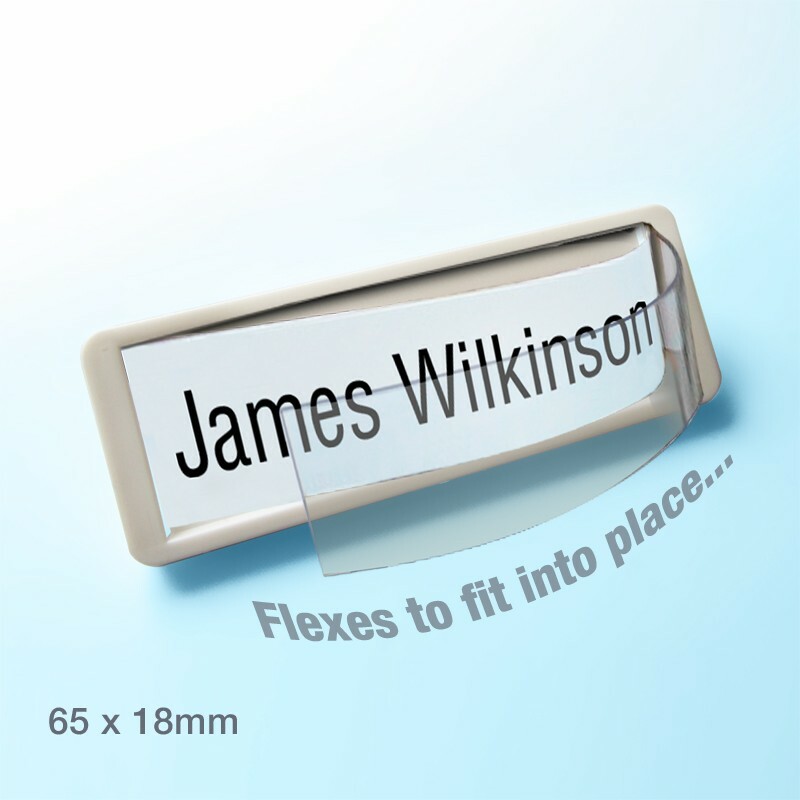 65 x 18mm Window badge. 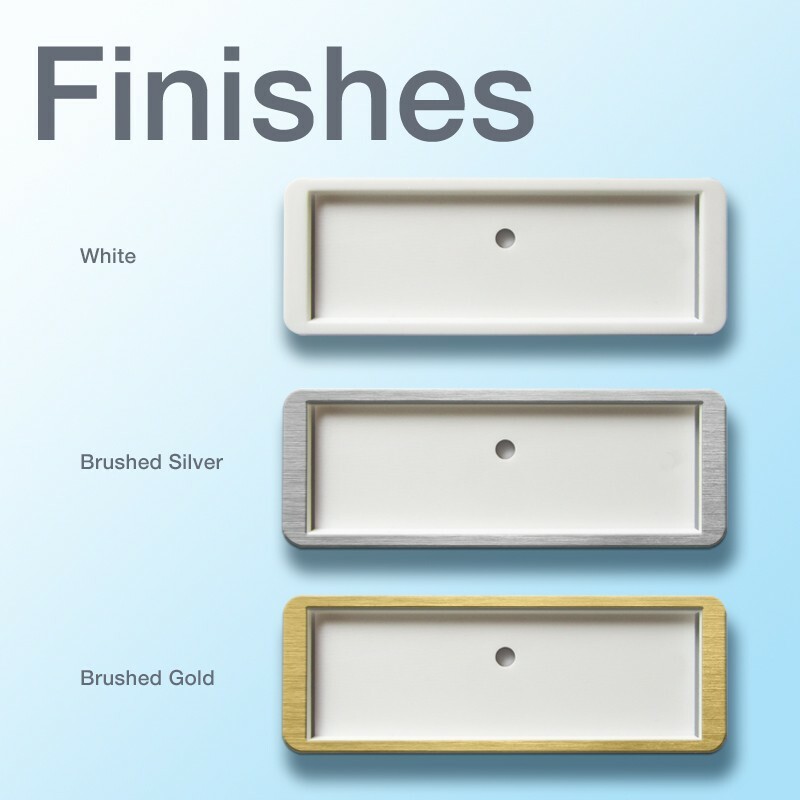 • Three colour combinations, finished in white, silver or gold. • Personalise your badges using card inserts (supplied as standard). • Made with lightweight, tough, durable plastics. • Safe with rounded corners, clean and economical. ... we can print your logos and/or names for you if required. 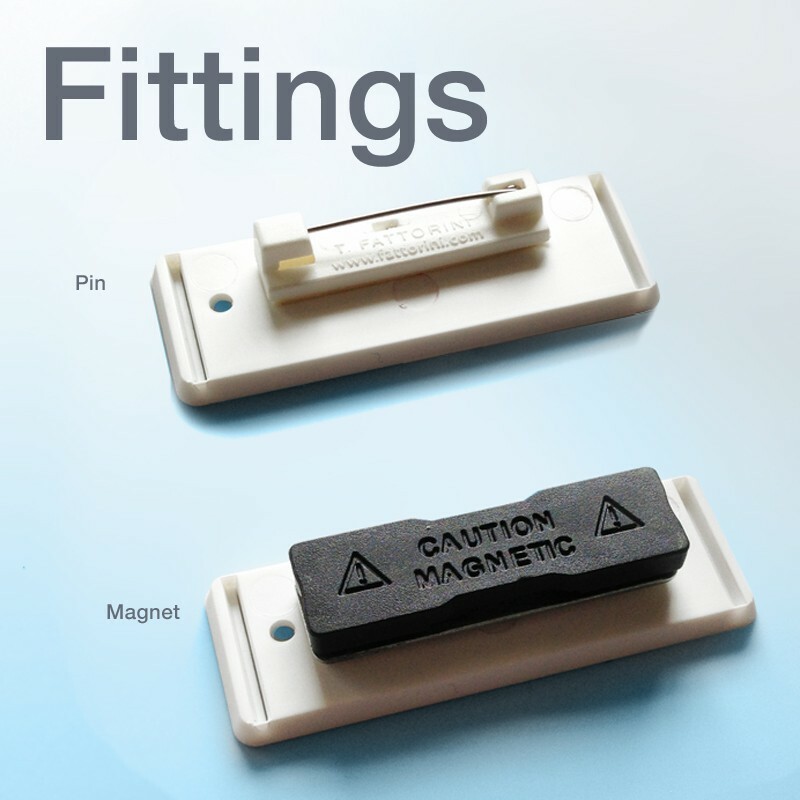 Made in the UK to quality assured standards.